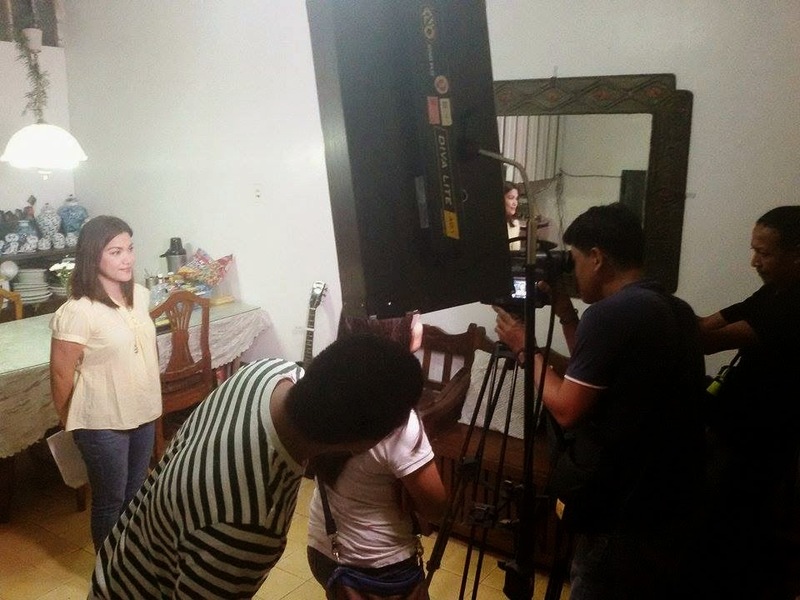 My TV5 Guesting Preview and SUN Entertainment Loads To The Rescue! Hello loves! How are you all doing this past week? Ako I'm very excited to share with you that I got to experience a once in a lifetime TV guesting in a mommy-oriented show to be aired on TV5! What's more exciting was that they shot the whole episode in our humble abode! If mom would still be alive, she surely would be the first to be aligaga to arrange the house and make sure it's squeaky clean. But for sure, as she was watching us down from above, she's proud at how I managed the house. Solo interview by the show's crew before one of the main celebrity hosts arrived. Caught on cam! This photo was brilliantly shot and shared by my son Dandre. Gladly, at the palm of my hands, I can do video streaming of the airing of the morning show, which is very much a good news for me and my family! This just means, I won't miss seeing the episode live on TV5! This is all possible with Sun Entertainment Loads, where I just need to load up and press play! Oh diba? It's that easy. This is readily available for all Sun Prepaid subscribers. At dahil nga practical tayo, for only Php 50.00, I could already get 3 hours VIDEO STREAMING, non-stop VIBER and 200 ALL-Net texts! All I have to do is register to eView (Text eVIEW50 to 247) Super winner this deal! 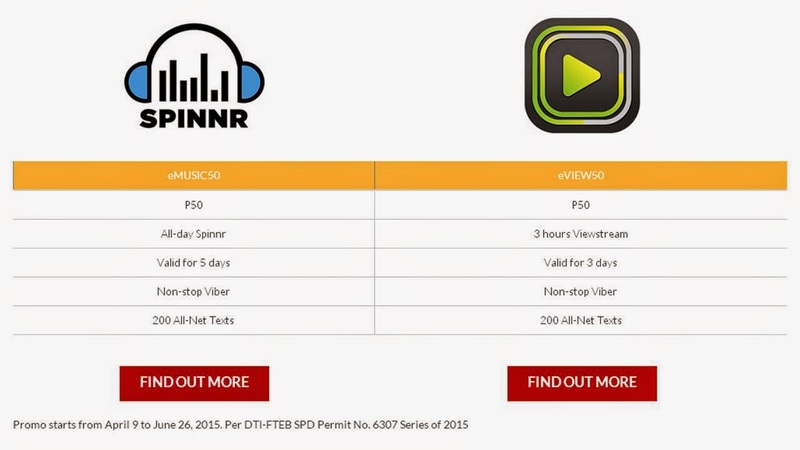 Since we're at it, for music lovers like me who listen to Spinnr on your way to or from work, while working and don't want to be disturbed, also when working out, and especially great companion on long drives going to nearby beaches or resorts this summer, I've got good news for you too! 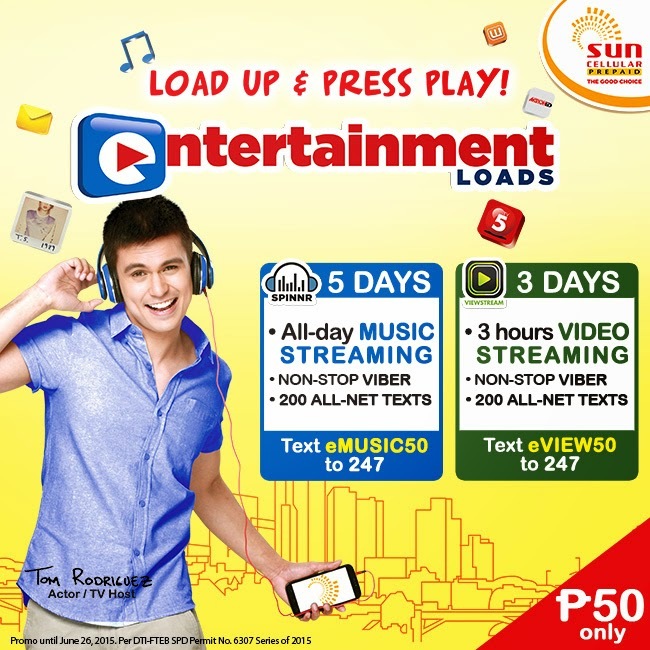 Sun Entertainment loads also has All-day MUSIC STREAMING naman, plus non-stop VIBER and also 200 all-net texts! Just text eMUSIC50 to 247, to enjoy this service! See? Super affordable na and malayo ang mararating ng Php50.00 mo! For more information on this new offer by SUN Prepaid: the SUN Entertainment Loads, visit SUN Cellular's WEBSITE or like them on FACEBOOK. Hi, Louise! Let me know when is the airing so I can watch you in Viewstream! :) Winner ha!